The European Commission President has pledged to support Viet Nam in implementing its socio-economic development plan for the 2006-2010 period, and maintain aid for Ha Noi at the 160 million euro level every year during the 2007-2013 period. 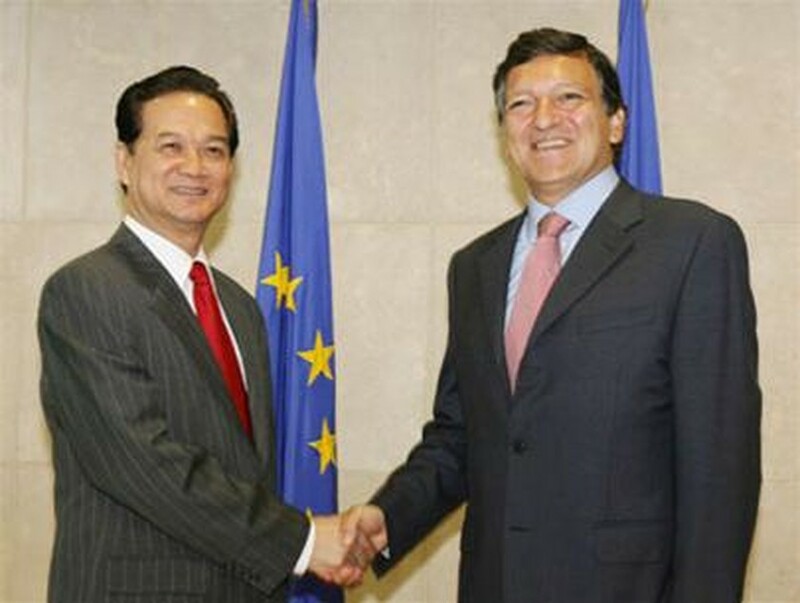 EC President Manuel Barroso said this during his talks with Vietnamese Prime Minister Nguyen Tan Dung in Brussels, Belgium on Friday, the first day of the premier’s official visit to the EU and Belgium at the invitation of the EC President and Belgian Prime Minister Guy Verhofstadt. The EC President affirmed that Viet Nam was one of the EU's most important partners in Asia. He reiterated that the EC fully supported Viet Nam's bid to join the World Trade Organization. He and the Vietnamese government leader announced that the two sides had concluded multilateral negotiations on Viet Nam's WTO entry. 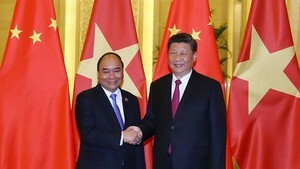 It was the Vietnamese premier’s first working visit abroad as from June when he became Prime Minister. PM Dung and EC President Barroso agreed to take strong measures to boost the relationship in accordance with each side's aspirations. The two sides will cooperate closely in helping Viet Nam to implement its master plan for comprehensive cooperation with the EU, which was approved by the Vietnamese government in June 2005. PM Dung said he wished EU member countries to strengthen their multi-faceted cooperation relations with Viet Nam. He requested that the EU recognize Viet Nam as a country with a market economy as soon as possible and support Ha Noi in the post-WTO period. Regarding the EU’s decision to impose anti-dumping duties on Viet Nam’s leather shoes, he said the decision did not reflect the two sides’ growing bilateral cooperation and was against the current trend towards trade liberalization. The talks took place in an atmosphere of friendship and mutual understanding. Then, PM Dung and President Barroso told reporters about the results of their talks in a brief press conference.